Can Seth Grabel fool Penn & Teller? Watch and see this Monday night! Watch Seth Grabel try to pull one over on Penn & Teller this Monday night on Fool Us! 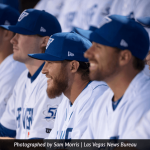 The episode, filmed in March, will air Monday, June 23, from 8-9 p.m. on the CW network (KVCW Channel 33 in Las Vegas) right after Seth’s regularly scheduled Monday night performance from 7-8 p.m. in our Tahiti Village Kahiko Room. Don’t miss it! 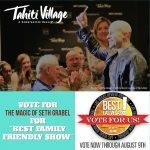 Help our very own Magic Man, the incredible Seth Grabel, win “Best of Las Vegas.” Vote him Best Family Friendly Show!